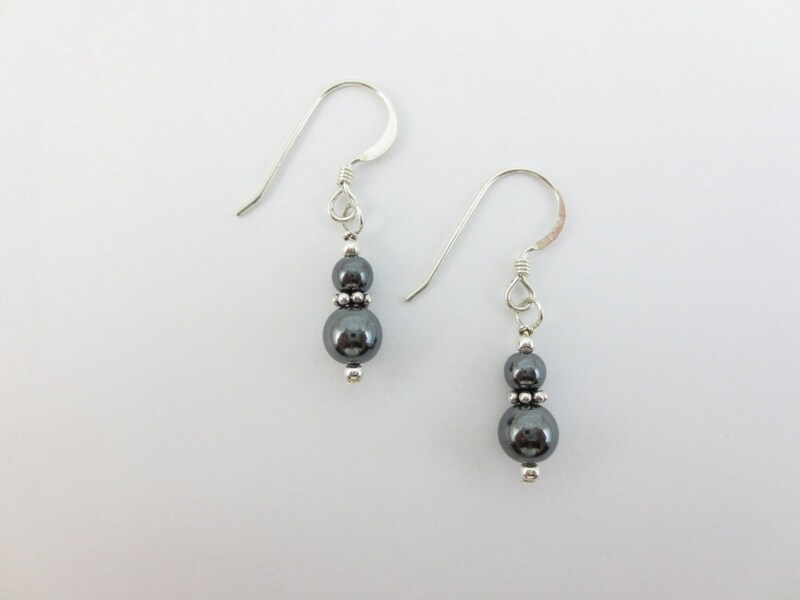 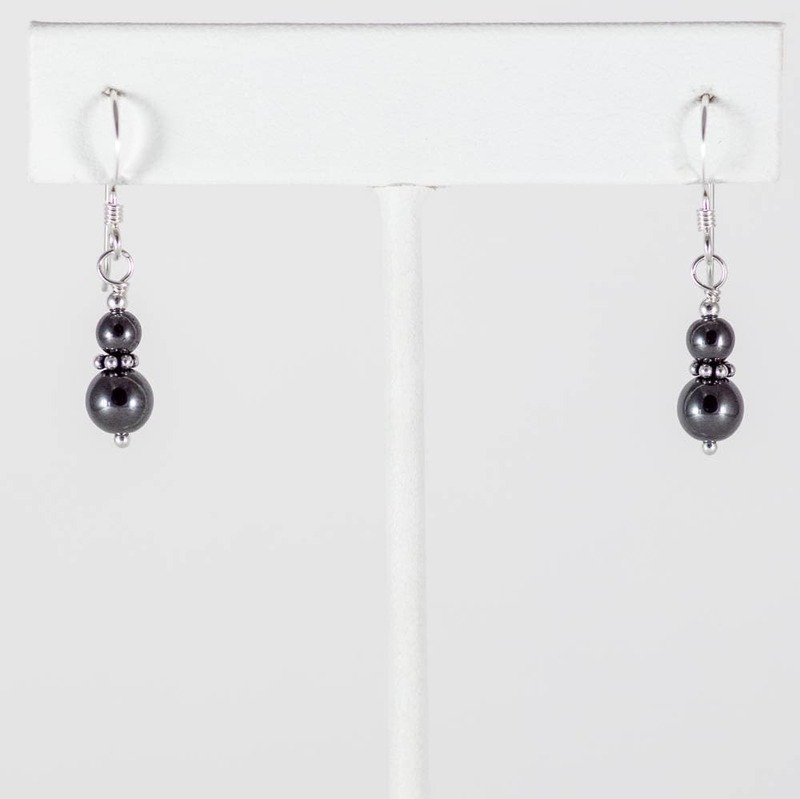 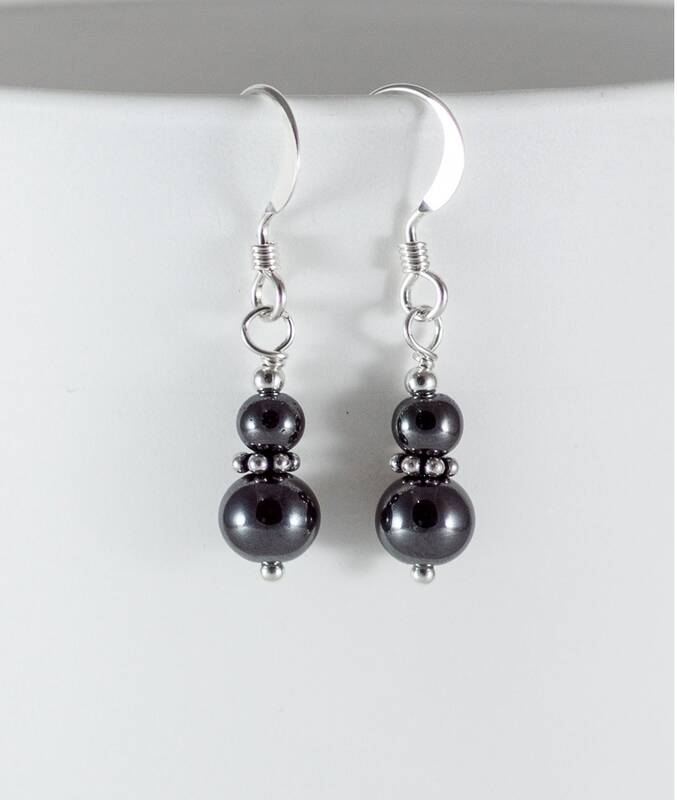 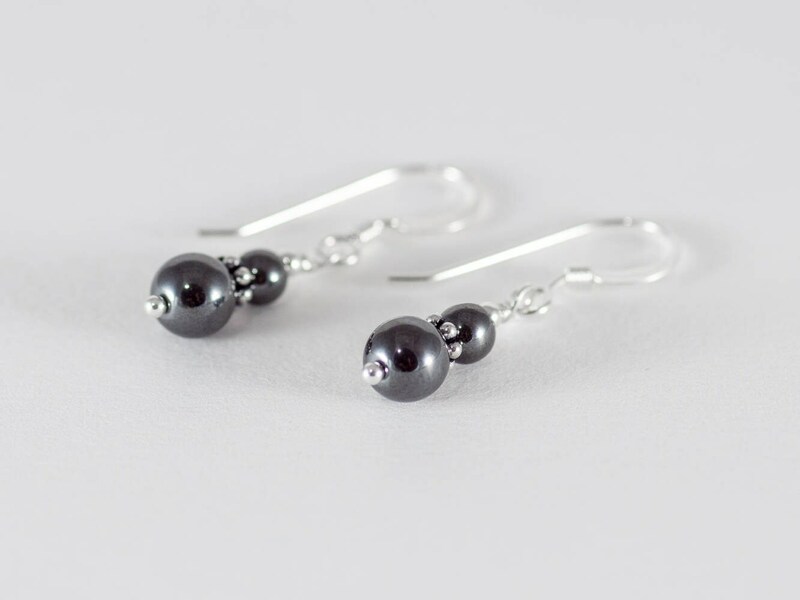 These round 4 & 6 mm Hematite earrings are exciting! 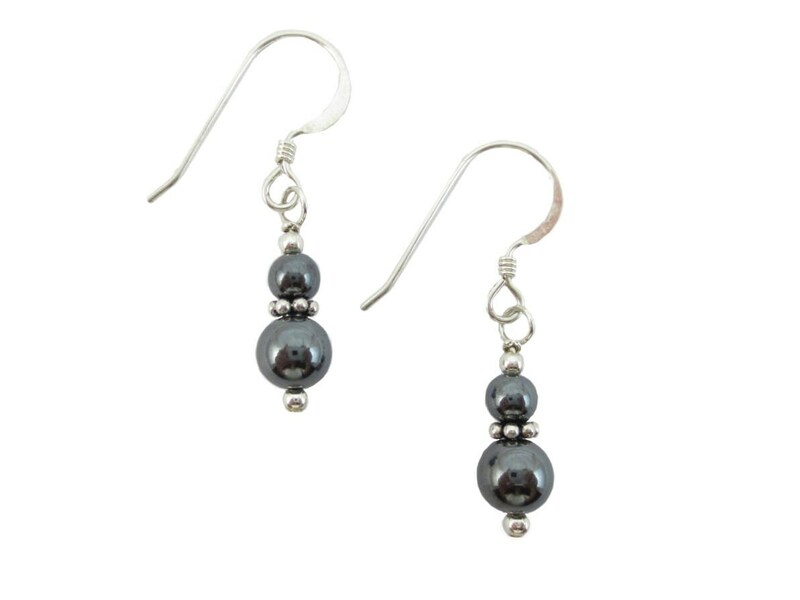 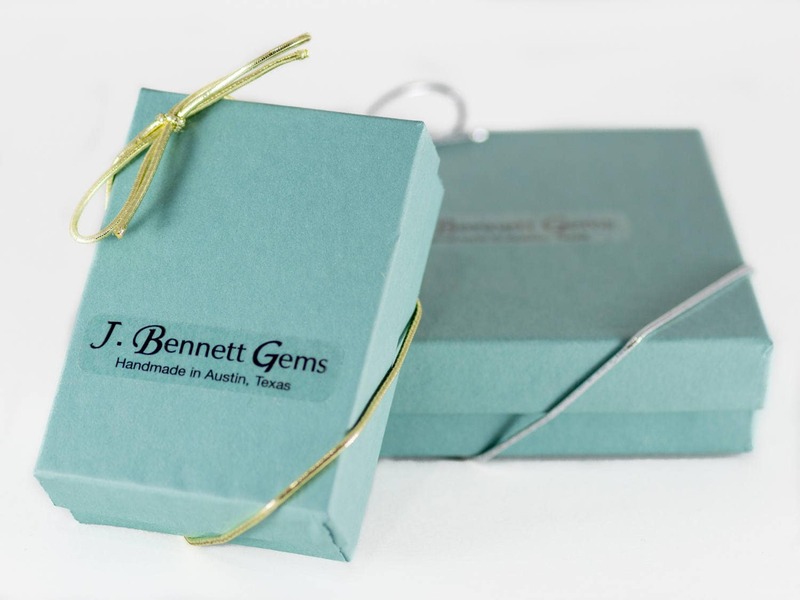 Their versatile silver-grey polish accents your personal style. 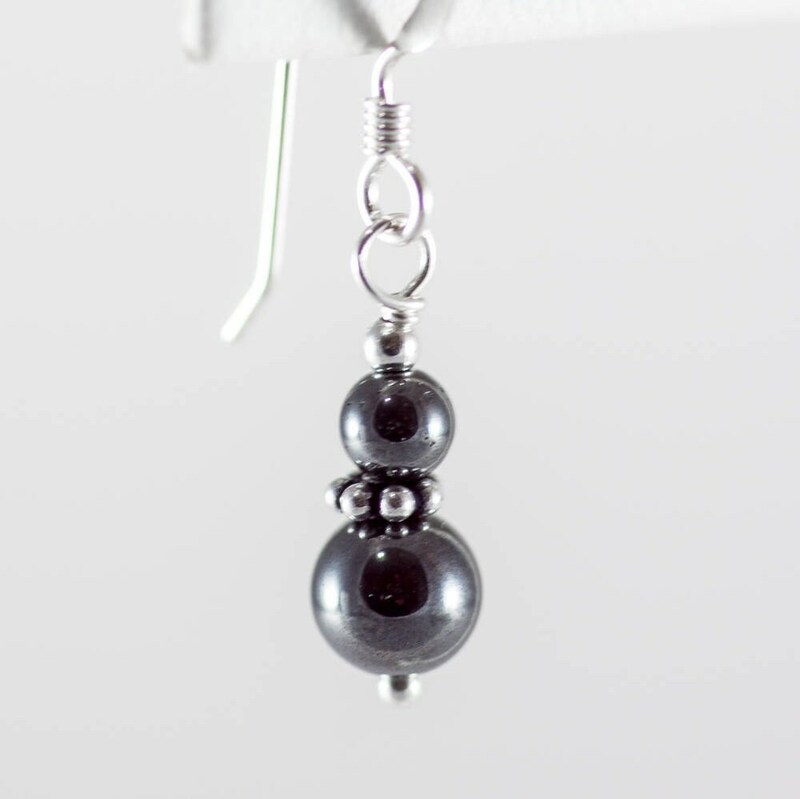 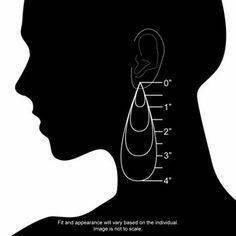 They are 1 1/4 inches long from the top of the earwire to the bottom silver bead.